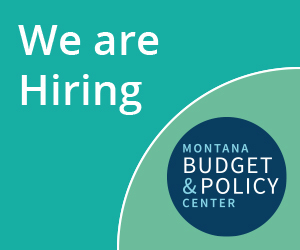 In 2013, the Montana Legislature had the opportunity to accept federal funds to expand the state’s Medicaid program, a move that would provide access to health care for nearly 70,000 low- and moderate-income Montanans and boost the state’s workforce and economy. Efforts to advance legislation received bipartisan support. Unfortunately, the final compromise bill became a victim of political gamesmanship. The fight to expand Medicaid is not over. Montana has a variety of policy options to enact expansion. The stakes are high. Tens of thousands of Montanans wait for access to much-needed health care, and Montana risks losing millions of dollars in federal support if policymakers delay the decision past the end of 2013. >> Read the full report here.